Priceless Event Planning's CEO/ Head Designer Khadidra Muhammad is eager and excited to share her journey, as well as her event design/planning tools in an informative workshop. & Of course you can pick PEP's Brain (This will be a TELL ALL Session) If Khadidra can answer it, she will! For those who want more and is interested in hands on design experience with flowers and balloons, please upgrade to the style shoot session on 4/17 to 4/18. Where you will get to create floral arrangements, work with balloons and help with staging a one of a kind PEP style shoot. But wait there is MORE...... We are adding an PEP Event Planner Gala on 4/18 for those who purchsaed the upgrade tickets, where you get to enjoy the fruits of your labor. Time to unwind, and have fun with your peers, other amazing event planners, vendors, greats in the industry, as well as the PEP Team and of course Khadidra. Warning, we like to party so get ready to have fun! Is there public transportation near by? Feel free to bring a lap top but it is not required and most importantly an open mind! Can i purchase just an upgrade style shoot ticket? No, the style shoot session is ONLY available as an upgrade to those that purchased tickets for the event planning informative workshop on 4/16. If I need to make installments, which installment ticket should I purchase first? 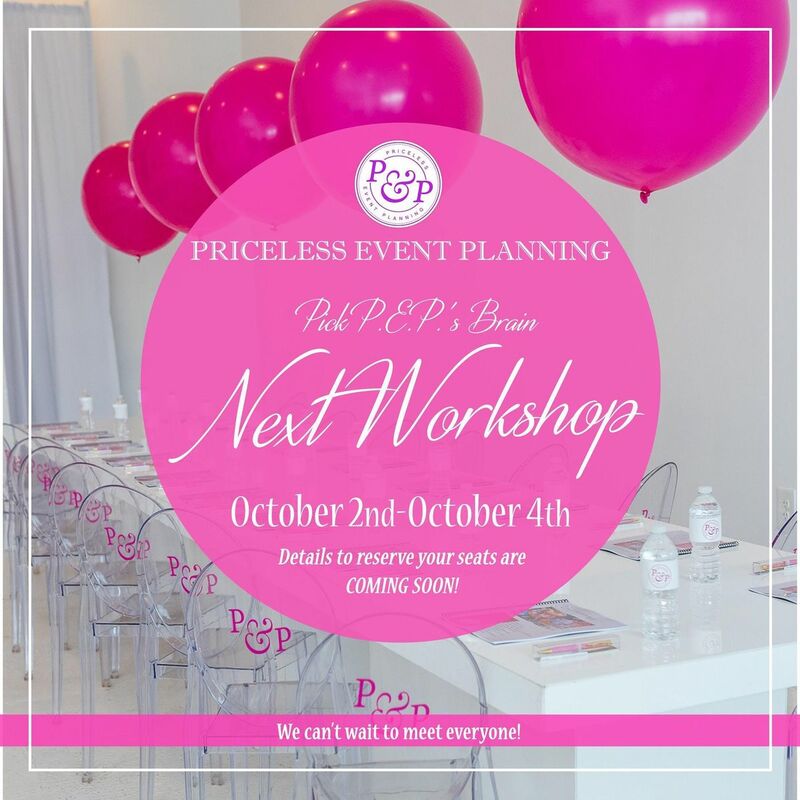 If you are only interested in the 1 day workshop, purchase the 1st installment ticket for $415. If you are interested in all three days, purchase the style shoot upgrade ticket first, and 4/16 installment tickets later. This will hold your style shoot seat, as these seats are limited. Can I bring guests to the event planner Gala? Unfortunately due to the limited space, this will be an invite only event.